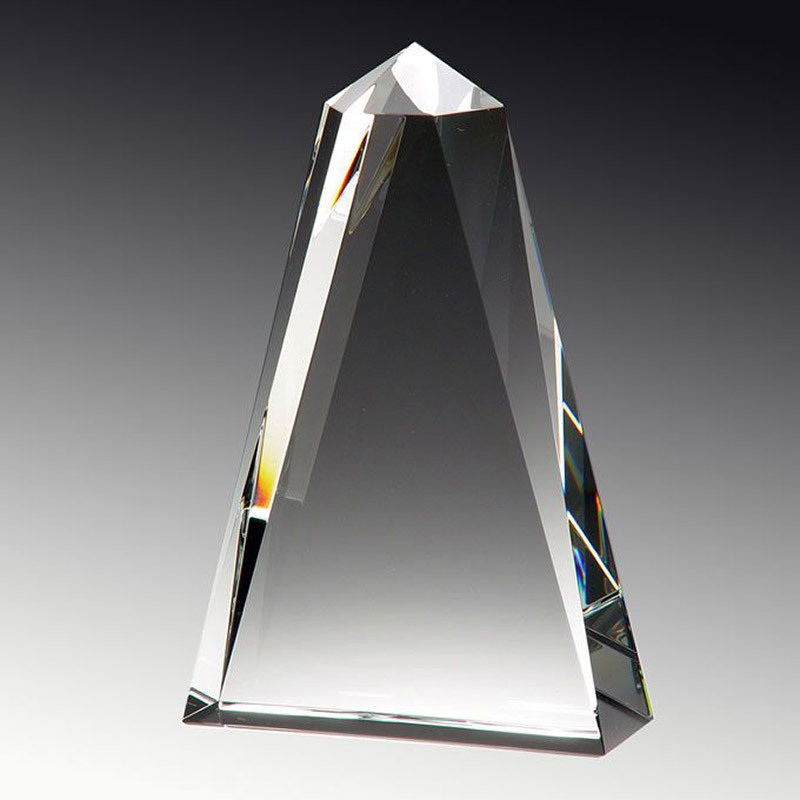 A clean, sharp and very stylish crystal glass award from Prism Crystal. Crafted in premium optical crystal this obelisk shaped award refracts light as it passes through, creating a myriad of colours and effects. It stands 8.5in tall and is perfect as a corporate award or trophy for either individual achievement or team recognition. These awards can be engraved on the flat front and are supplied presentation boxed. Size: H 8 1/2in x W 5 1/2in x D 2in.